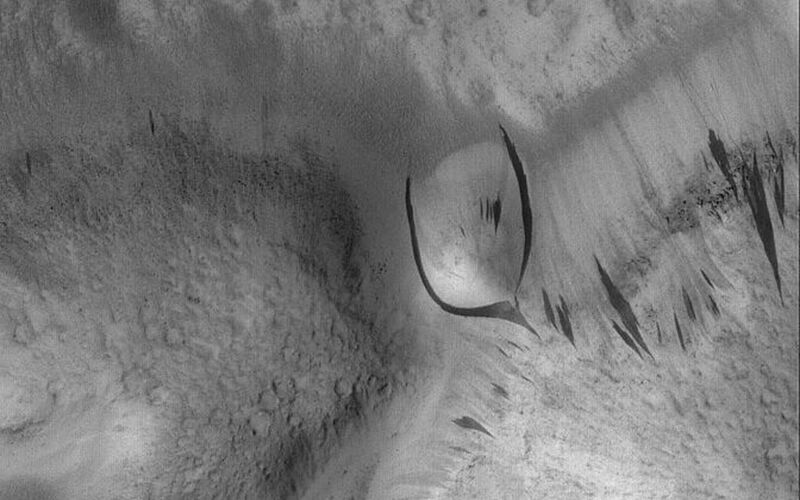 This Mars Global Surveyor (MGS) Mars Orbiter Camera (MOC) image shows some dark slope streaks in the Phlegra Dorsa region of Mars. 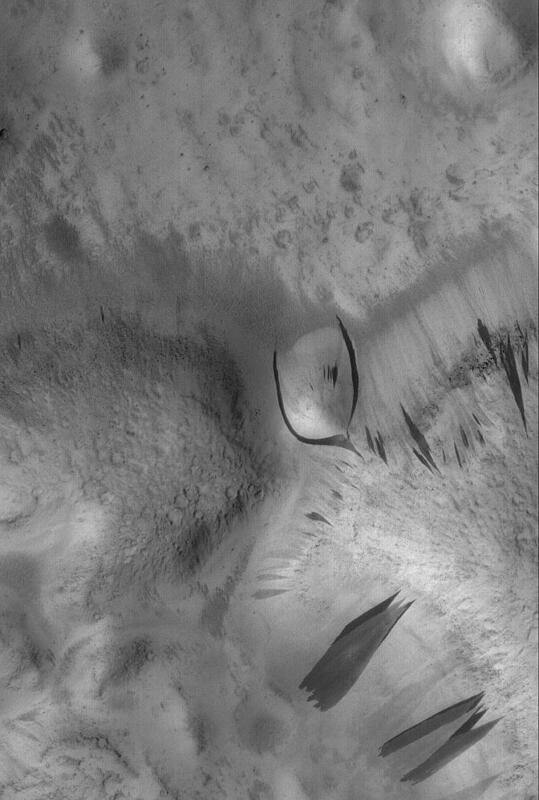 Of particular interest is the split streak near the center of the image, which diverted around a rounded hill as the material was sliding down the slope. 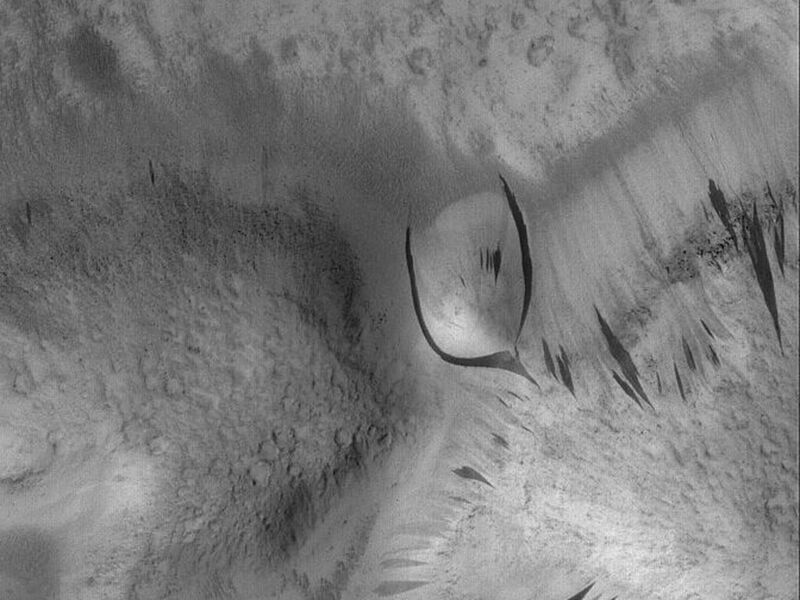 Slope streaks occur in regions of Mars that are mantled by fine, bright dust. 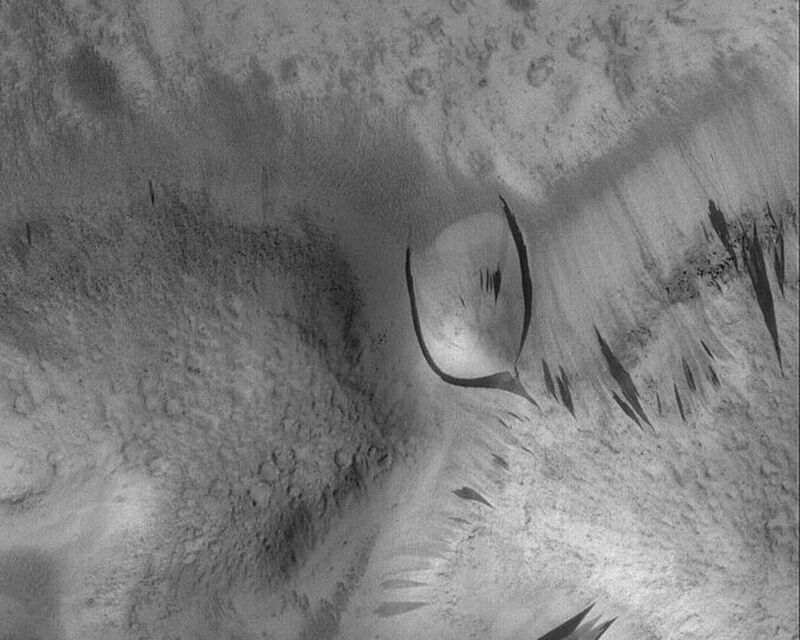 They do not occur on slopes that have no dust coating. They are therefore suspected to form by dry avalanching of the dust, despite their somewhat fluid appearance.